Established in Van Nuys as the Johnston Organ & Piano Company, the factory building had borne the names of at least three pipe organ building enterprises before it was torn down in 1964; Johnston Organ & Piano Company, California Organ Company, and finally the Robert Morton Organ Company.. Located in Van Nuys, California, at the corner of Van Nuys Boulvard and Oxnard Street, the factory sprawled over several acres. With a major rail line right next to it, and a huge lumberyard just across the street, the site had access to direct delivery of the raw materials needed to build a pipe organ -- wood, metal, wire, and parts both small and large. The finished product could then ship out via truck or those same rail lines. The real estate developers who spurred the construction of the factory did so with the intent that it would draw people to the San Fernando Valley, and who would buy houses there -- houses that they were building and selling. Their scheme apparently worked; at the height of its production, the Robert Morton employed about 360 people at the Van Nuys factory *(4 : 6), and was one of the largest businesses established in the budding community and in the San Fernando Valley. From the Collection of Tammy Bain, grand-daughter of Archie March, Jr.
Based upon the overgrown landscaping, this photo may have been taken sometime near the closing of the factory. The only 32' stops made by Robert Morton were for the organ in Bovard Auditorium on the campus of the University of Southern California in Los Angeles. These were a 32' Bombarde and a 32' Open Diapason of wood (which now resides in the organ at the "Crystal Cathedral" in Garden Grove, California). Since the dismantling and dispersal of the Bovard Auditorium organ, the 32' Bombarde seems to have disappeared. It is possible that it may reside somewhere in an organ the Southern California area, waiting to be discovered. Members of the wood and metal pipe departments celebrate the "big one" / / / From the Collection of Tammy Bain, grand-daughter of Archie March, Jr. Although Robert Morton built man wood 16' Diaphones, no 32' Diaphones were built. For the classical specification of the Bovard organ, a 32' Open Diapason was included and this the low CCCC of that stop. 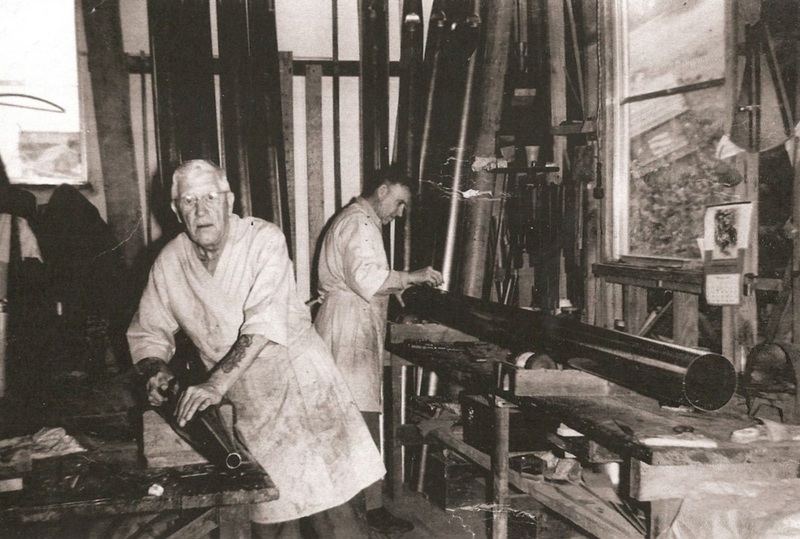 Pipemaker Archie March, Sr. stands fourth to the right of the seam in the middle of the pipe; Archie March, Jr. stands just to the right of the seam. When the Bovard organ was dispersed, this set of pipes went to the organ in the "Crystal Cathedral" where, painted gray, it continues to sound forth. Note the comfy fellow sticking out of the top end of the pipe, and the tiny wood pipe which is standing in the mouth. Archie March Jr. noted that when this stop was first tested on the erecting room floor, it blew out three windows in the building. . .
VAN NUYS From the Air. . . In the early teens, the San Fernando valley was a mix of semi-desert and irrigated agricultural land, ripe for developers. In this aerial photo, taken circa 1916, you can see the young California Organ factory on the far left, with the curved driveway. Across the street is a large lumberyard (convenient!). It is likely that many of the small houses in this picture belonged to employees of the organ factory! An excellent aerial view of the Van Nuys factory, likely at the height of its production in 1927 or 1928. Notice the developing expanses of residential neighborhoods in the background, the very thing the initial backers of the Johnston organ firm hoped to accomplish. The next image is a 1952 aerial view, showing that a good part of the facility was still there. It was all torn down in 1964. Today, the area around Van Nuys and Oxnard Boulevards is largely occupied by auto dealerships, and the extensive rail lines are all gone. Note that the main erecting room (located at the center-right ) of the picture is now behind an L-shaped structure (mini-mall?) on Van Nuys Boulevard, where the curved driveway used to be. Unlike the Wurlitzer firm, for which a plethora of advertising and firm records still exist, few of the factory records, advertising brochures, or contracts have survived. Like Wurlitzer, Robert Morton appears to have had a range of "stock models" or specifications from which they worked, although given the fluidity of the company, these likely changed significantly over the years, particularly after the reorganization of 1924. Here, we have attempted to reconstruct a rough idea of the models available, and what the customer was getting. Bear in mind that organs of over seven ranks did not make use of the in-console relay system that Robert Morton's smaller organs used. For organs of four ranks, the company was able to eliminate the necessity of a key relay, since the contacts under the keys took its place, and simply went directly to the switchstacks in the console. This made for a very compact instrument which was much less expensive than the organs requiring an external key relay and switchstack. LS-M . . . . . 3/? 49 . . . . . . . . 2/3. -- (10"wp 30"vac); roll player? Flute, String, _____ // roll player? 49D. . . . . . . . 2/ -- 4 ranks? NOTES RE "STYLE" LIST // This is nuts. Multiple 2/4 style designations with not a clue as to when the style was active, or if it was superceded, or what the differences were in contemporary model numbers for organs of the same size.. Not too useful. 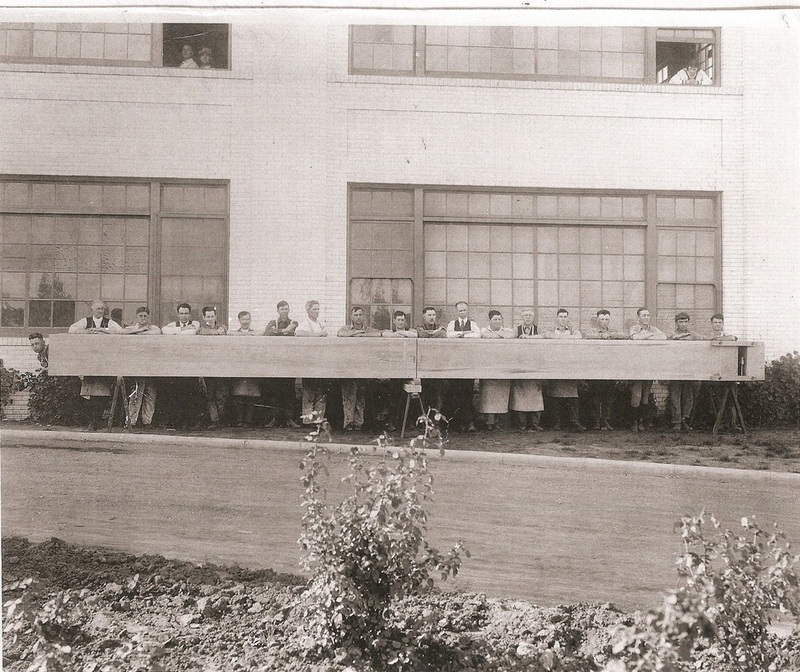 Many of the individuals who participated in the building of the Robert Morton product were previously employees of the California Organ Company, the Johnston Organ Company, the Los Angeles Art Organ Company and the Murray M. Harris Organ Company. In fact, after the company's operations were moved to the plant in Van Nuys, although the name of the company went through many changes, most of the staff stayed the same, doing the things that they had always done. According to an interview with Richard Simonton (The Console, November 1965, p.16), experienced workmen at the factory were earning around $4.00 per hour by the mid 1920's. Of course, after the reorganization of 1924-25, the paychecks also came on time, which wasn't always the case in the early days. We've attempted to compile a list of employees and what sort of work they did for the company, and where possible, a more comprehensive look at their lives and their contributions to Robert Morton and the pipe organ industry. This list will be in a constant state of flux as we acquire more information about the workforce employed by Robert Morton. This list includes all of those individuals who are known to have worked for Robert Morton from 1917 until the closing of the factory in 1931. Abrams, A.L. (b:?, d:?) With American Photo-Player firm in Berkeley; may have been office staff at San Francisco headquarters. Abrams, Sylvain S. (b:?, d:?) Vice President of RM at its inception in May of 1917. Fred F. Auer (b:?, d:?) "Incorporator" with American Photo-Player firm. B.T. Bean (b:?, d:?) A member of Klink, Bean & Co., accountants; became accountant/incorporator for American Photo-Player firm. Wilbur R. Bergstrom, head of machine shop, which turned out pipe mandrels, scrapers, and a myriad of metal parts used to build Robert Morton organs. Mr. Bergstrom may also have been involved in installation work. James Bolton, pipemaker (b:1884, d:?). James Bolton appears to be related to the famous Boltons of Skinner fame, all pipemakers and voicers. Frederick Bolton (who worked for Murray M. Harris from 1900 to 1904) was his father. Emigrating from Liverpool, England in about 1889, he worked as a pipemaker with the Samuel Pierce Organ Pipe firm in Reading, MA, 1907-1911; Farrand & Votey, Detroit, MI; E.M. Skinner, Boston., MA in 1921, followed by the Schoenstein firm in San Francisco. He initially established a shop in Berkeley, California, along-side Thomas Whalley from 1928 to 1930. Although it appears that his pipe shop was independent, he certainly developed a relationship with the American Photo Player Company, and supplied pipes to Photo Player, and perhaps also to Robert Morton. Eventually, he moved (or established) his shop in Southern California, and supplied pipes to the Artcraft Organ Company in Santa Monica, as well as to others. He may have established his pipe shop on the Artcraft premises at some point. Anecdotal information indicates that he had done work for Robert Morton at the Van Nuys factory, although it is not clear if this was as an employee or an independent contractor. Joseph J. Carruthers (b:1855, d:1937) Originally with Hope-Jones firm in Birkenhead, England, c. 1894. With Norman & Beard, Norwich, England, c. 1897. Emigrated to United States c. 1904 to work with Hope-Jones firm (superintendent) in Elmira, NY. Joined Wurlitzer firm in 1910; Kimball 1914; Wangerin, 1917. May have worked for RM after 1917, dates unclear. Henry J. Carruthers (b:?, d:?) Son of Joseph Carruthers. With Hope-Jones firm from 1904-05; E.M. Skinner 1905-06; Hope-Jones in Elmira 1907-10, Wurlitzer in 1910. With Steere & Sons, Springfield, MA until 1917.. Became voicer with RM in 1917, but went to Kimball in 1919. From 1920, he operated an organ service firm in the Pacific Northwest. John Dewar - California Organ Co.
Oliver C. Frame (b. 1854) -- Installer. Began with Murray M. Harris in 1900, and remained through Robert Morton period. Walter Gibson (b. 1870, England) -- Began with Murray M. Harris in 1900, and remained through Robert Morton period. Did installation work and ? Was involved with the installation of the 1904 World's Fair organ. Val Holzinger, with RM until 1924, then went to work for the Wurlitzer Company. Subsequently, he was employed by the Maas Organ Company (started by Louis Maas, also an RM employee), and ultimately started his own firm, manufacturing low-cost church organs in the 50's and 60's. 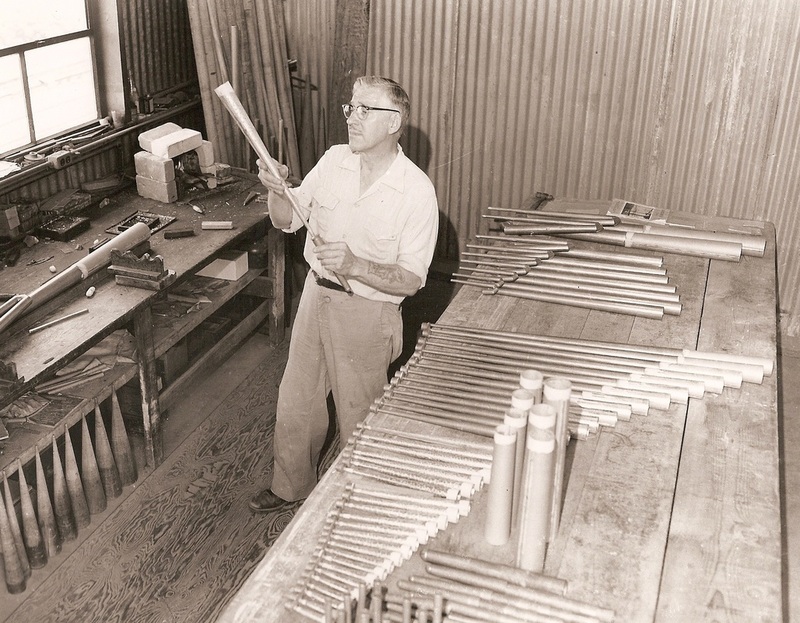 Holzinger Organ Company also employed Archie March, Jr. as a pipe maker. Bert Kingsley (Kinsley), (b:1875, d.1939) head voicer, previously with the Samuel Pierce Pipe Organ Company, Estey Organ Company, M.P. Moller Organ Company, and Pilcher Organ Company. E.B. Kittleman - California Organ Co.
Louis Maas (b:? ; d:1955). Previously employed by Eilers Music Co. in San Francisco and Sherman-Clay, and also as a service rep for Wurlitzer (c.1914). Joined Robert Morton c. 1917, and left in 1922 to open his own firm (Maas Organ Co., in Los Angeles). Joined by Carl Riedler in 1934 and Paul Rowe, Sr in 1947. Charles McQuigg (b. 1882) -- Originally with Murray M. Harris, he stayed on through the company name changes and worked with Robert Morton. Capacity unknown. Henry A. Niver - American Photo-Player / California Organ Co.
Carl Pearson (b.1872 or 1885; d.1986), Console Department Supervisor. Originally from Sweden, Carl emigrated to America with his family to continue his career in organ work. Previously with the Hutchings Organ Company, Boston, Massachusetts, Estey Organ Company, and then finally with the Los Angeles Art Organ Company. He remained through the changes in management and ownership, including moving his family to Van Nuys when the factory was moved to the San Fernando Valley. According to the younger Pearson, the initals "C.P." appeared inside every console that he had completed, and A.C. continued this practice after he became head of the Console Department. Arthur C. Pearson, (B?;d? ), relay/electrical; later head of the Console Department. Started in the console department as a part-time employee under his father's tutelage in 1923, while he was in his teens. His first job was "boring at least one hundred thousand holes and channels in relay actuating racks" (4 : 12) After his tenure at Robert Morton, he became an electrical engineer. After 1924, he became a full time employee, remaining with the firm until its closure, and then working for C.B. Sartwell in 1933. Carl Riedler﻿ (b.1880; d.1955). Born in Weickersheim, Germany, and emigrated to the U.S. in 1903. Worked for August Laukhuff in Weickersheim, Walcker of Luwigsburg, Wirsching of Salem, OH, and Wangerin-Weickhardt of Milwaukee, WI for 15 years as head voicer. Came to Robert Morton in 1923, and apparently made a home in Van Nuys, California. He likely worked as a voicer for Robert Morton until the factory closed, Employed by Maas Organ Co., Los Angeles in 1934. Buster Rosser, reservoir department. ; installer. In later years, worked on installation of Redwood City Sequoia Theatre 3/13 at Lorin Whitney's recording studio in Glendale California. Also worked on Buddy Cole studio installation. David Schaub - California Organ Co.
E.A. Spencer, superintendent, California Organ Company; superintendent at American Photo Player Company from 1917 - 1922. Then left the company and started Spencer Organ Company in Pasadena, California. A.E. 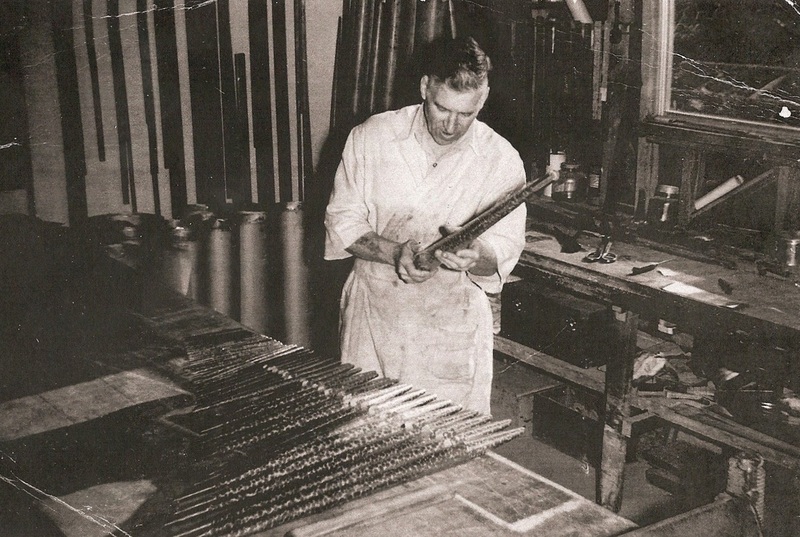 Streeter - American Photo-Player Co./ California Organ Co.
Herb W. Sutton, metal casting shop supervisor, pipemaker. John William Whitely (1864 - 1940) -- Voicer. Worked with Casson, Hope-Jones and Michell & Thynne; also as a voicer with Los .Angeles. Art Organ Co (1903-1905). May have continued with Robert Morton. Roy Gimpel -- installer in the southern states, usually painted windlines red. ACKNOWLEDGEMENTS: Anecdotal and other personnel information has been supplied by Tammy Bain, Jim Lewis, and Jim Spohn. When the elder March retired, the younger continued on in the pipe department. Pipes of fine construction bearing the flowing script of Archie March, Senior and Junior are common in Robert Morton organs. Archie March, Sr., foreground, Archie March, Jr., background /// From the Collection of Tammy Bain, grand-daughter of Archie March, Jr.
Archie March, Jr. /// From the Collection of Tammy Bain, grand-daughter of Archie March, Jr.
(b. 1877, d.1937) Harold J. Werner, president of the American Photoplayer Company, Berkeley, California (the parent company of Robert Morton). Described by many as a man of short stature but great energy, Harold Werner was the prime mover of the Robert Morton company from the beginning. Perhaps the estimate of one's colleagues is the greatest praise -- R.P. Matthews said that "Werner may have been a small man in stature, but he was a really big man in all other ways. He was dynamic, a terrific guy, a real wonder! He was the kind of fellow who never kept track of his finances (which turned out to be a fatal flaw -- ed.). He never knew what his expenses were because he was not a man to worry about little things. Werner was an excellent organizer and was all the time doing things that on the surface did not look to be kosher, but were so far as he was concerned, and did them without trying to mislead anyone. He wanted to see the Morton organ become the leader in the field and worked toward that goal constantly. Werner did everything to start the American Photo Player Company and the Robert Morton Pipe Organ Company. He alone was responsible for both. It was a terrible blow to him to be thrown out of the companies. However, he was a tremendous optimist and you couldn't keep him down for long. He might be gloomy for a day or two, but he always bounced back to the bright side. "After losing his two companies, he sold Moller organs and, I believe, was the man responsible for the big Moller going in the Shrine Auditorium in Los Angeles. Some time later he opened an insurance business in San Franscisco. Returning to the Bay area from a business meeting in Los Angeles, he picked up a hitchhiker and asked him to drive -- he hated driving. There was an accident; a truck hit Werner's car and both men were killed. The hitchhiker was behind the wheel." "This was just about the time I dreamed of making a change to sell organs instead of build them." In fact, Williams left the firm almost a year before the firm closed its door and was reorganized in 1924-25. The firm's corporate charter was suspended on March 1, 1924 for failure to pay franchise taxes (sales taxes), and this meant that Robert Morton could no longer transact business in California. Prior to this, some of the executives of the Photo Player firm were working quietly behind the scenes, unknown to Werner, to seek new capital sources to sustain the business. Ultimately, the firms creditors stepped in and forced the reorganization of the companies. At this point, Mortimer Fleischacker entered the scene, and essentially saved the company and brought about its complete reorganization (see "History"). H.J. Werner was ousted as head of both companies, sued and stripped of all of his stock. At the same time, he was cleared of any charges of financial shenanigans, fraud or embezzlement, and the rumors about dual hypothecation of contracts was proven to be groundless (and in fact resulted from the mergers of one or more banks that created the illusion of dual hypothecation). But Werner's lack of attention to financial matters proved to be his undoing, a sorry end for his role in creating one of the great theatre organ builders in America..
"One night at the very beginning of the association with American (American Photplayer; ed), when I was building the two manual unit job, Mr. Werner and some of the men from Berkeley came in to examine my sample. It was much different than the classic instruments they had seen on the floor, the ones designed by Spencer. In its construction I used different contacts, key actions, chest actions and they approved it without change. "Later on, Mr. Spencer was sent to the Fotoplayer factory in Berkeley as head of the works. He really never forgave me for siding with the American Photo Player people. Subsequently I was made superintendent of the Van Nuys plant. I never was too enthusiastic about the change and didn't want the job, but I remember so well that somebody took me aside during one of the organizational meetings -- he was a Photo Player Company man -- and told me: ' Stanley, if you don't do this somebody else will come and take over your job, and we're going to build the organ according to the model you've designed. You might just as well do it yourself. You are not being disloyal to Mr. Spencer because he is out. He just doesn't understand what we want to do.' And that was actually how I got into building the Morton. "I had been brought up by Robert Hope-Jones on his famous unit system which I had more or less forgotten about until the change was made at Van Nuys. In looking back, I do not particularly point with pride to the unit system, but with a touch of regret because the organs that were built on the unit system in general were pretty poor things as organs. They made satisfactory noises for accompanying movies but for the rendition of music they -- well, music wasn't composed for them. It was like expecting an inferior brass band to play the great works of music. "Anyway, the first organ I built on the unit design, a two manual instrument, eventually went into the California Theatre in Santa Barbara and stayed there for quite a long time. This was strictly an eye-opener -- to find that Wurlitzer wasn't the only firm to have a man who could design a unit orchestra." Stanley Williams was at one point asked to train the firm's salesman "so they could talk logically about the workings of an organ.". "Most of these men called me 'Willie'. . .and requested that I refrain from telling them about pipe organ operations because, in their own words -- 'it cramps our style because now we don't know when we are lying', You can be sure I didn't waste my time trying to tell them anything after they said what they did." (4 : 6) High-pressure sales was the order of the day, and all of the major organ companies used that technique. Robert Pernod "Joe" Matthews., advertising and sales; general manager. "Joe" had a musical background, previously playing piano and trombone with theatre pit orchestras until he broke his wrist. He found employment with the Eilers Music Company (as did Bell and Johnston), Joe Matthews was a canny salesman as well as a likeable and energetic administrator. He originally met H.J. 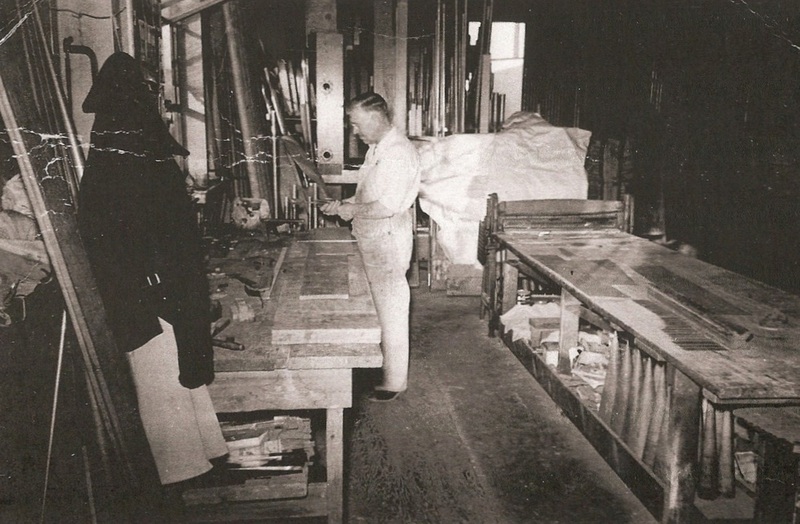 Werner at the Eilers firm in San Francisco, where Matthews was selling pianos. This was just before Werner struck out on his own and started the Photo Player firm. Werner tapped Matthews to become the eastern seaboard sales representative for the company. The addition of the Robert Morton line simply gave him another tool in his sales kit. Matthews prepared most of the trade advertising for the Photo Player firm, and both he and "Cocky" Charles were the top salesmen in the Robert Morton Company. (2: Vol.II, p. 495). "I knew Hope-Jones only slightly. We corresponded about a pressure reed organ. . .with pipes and a roll-mechanism for residence organs. Hope-Jones had written Welte about using their rolls, but nothing final had been decided. He cam to New York City to see me; at that time he was still with Wurlitzer; and visited me at my home. My family were living at New Rochelle and had rented three rooms in a house there. Jones stayed overnight with us. Matthews noted that the most popular of the Morton styles that he sold were those that were six ranks and under, largely to owners of smaller theatres. Because these instruments required no external relays, they were generally less expensive. Very early on, perhaps even before the official incorporation of Robert Morton in 1917, Robert Morton and Wicks apparently forged an "alliance" of some sort. Bear in mind that the early Robert Morton builders plates (the "organ pipe") plate bore not only the Van Nuys factory address, but also referenced Highland, Illinois, the home of the Wicks factory. It's quite possible that there was already a deal in place between Wicks and the parent company of Robert Morton, the American Photoplayer Company in Berkeley, California. There is nothing available to indicate whether American Photo Player may have used Wicks parts, or had some arrangement regarding technology with Wicks, but certainly it would have been a bold move to include the Highland reference on the builders' plate without some assent from Wicks, even though the name "Wicks" was not referenced. The Wicks firm was always protective of its name, image and product innovations, especially its famed "Direct Electric" (TM) action, which was trademarked and actively protected. In any event, the Wicks relationship was important to the fledgling Robert Morton Company, particularly in its early years, when chronic financial difficulties caused infrequent factory closures in Van Nuys, sometimes for several months. It is interesting to note that although Wicks did build complete organs for Robert Morton, Robert Morton would sometimes send parts to Highland, making the organ sort of a "hybrid". This leads one to believe that if the factory was closing for a time, an organ destined for the midwest that had just entered the construction phase may have had any extant parts sitting on the Van Nuys factory floor sent to Highland for completion of the job. This would explain Wicks-built instruments with console cabinets that were clearly built in Van Nuys, or division tags, stops, keyboards, or other parts. Wicks would have been unlikely to re-tool their cabinetry shops to produce a Robert Morton duplicate console or Robert Morton electro-pneumatic windchests; it would not have been cost-effective for either company. Prior to 1925, owing to erratic cash flow and other problems, infrequent and sometimes lengthy factory closures would occur without much warning at Robert Morton, and important employees like Paul Carlsted and Stanley Williams would find employment at other firms for the "duration" when this happened. It is quite likely that Wicks may have picked up some of the slack, at least for small organs, by either building them completely in Highland, or taking over whatever construction had already begun. It's not unlikely that Wicks would have been called upon to fill orders for small organs sold in the midwest or east, too. In order to clinch the sale and meet a deadline, it would have been far cheaper and faster to have the organ built and delivered from Highland than from Van Nuys. It's significant to note that almost all known Wicks-built Robert Mortons were small organs of 4 to 6 ranks, a size which was a staple of Robert Morton sales. This lends credence to the theory that American Photoplayer may have been pursuing a relationship with Wicks prior to the incorporation of Robert Morton, and that that relationship simply continued after Robert Morton came into being, with obvious benefits for both companies. "Ironically enough, Wicks' best customer for theatre organs was not a theatre chain but another organ builder, Robert Morton. The American Photo Player Company purchased about 75% of the Wicks theatre organs built between 1916 and 1923. . . .No particular attempt was made to make these Wicks-built organs look like Robert Morton products except in the nameplate design and in the percussions, which used hingeless pneumatics similar to Robert Morton designs. Otherwise, these instruments contained standard Wicks construction features throughout. Like so much of the history and output of Robert Morton, much remains to be learned, and much may be forever lost. . .except to conjecture. Here are some examples of the organs built by Wicks under the Robert Morton name. You will note that some of these instruments bear consoles which were clearly built in Van Nuys, but that pipework, windchest and mechanicals are definitely Wicks' product. Additionally, some consoles clearly built by Wicks bear Robert Morton "flourishes", such as division labels, stops, keyboards or other details. It doesn't appear that Robert Morton shipped pipework or chestwork to Wicks, which would have been counterproductive, but this is only logical conjecture. The console at left was originally a theatre organ, but found its way into a mortuary, losing its traps and percussions (thus the missing stops). The stops and keyboards are Wicks, but the division tags are unquestionably Robert Morton. The console style and internal mechanisms are also Wicks, rather than Robert Morton. The meters in the ratguards were a Wicks feature. This organ had an external Wicks relay, and was a four rank instrument. Wicks/Robert Morton (1925) Saenger Theatre. The console was likely built in Van Nuys and shipped to Wicks for completion, as the organ has Wicks mechanisms, windchests and pipework. Since the early days of the Murray Harris firm, the company built organs primarily for churches. With the advent of the Robert Morton organ and the emphasis on theatre pipe organ production, church organ building did not cease. In 1926, Los Angeles Elks Lodge number 99 ordered a massive four manual, 61 rank organ with an antiphonal division and a second console. This instrument was not strictly a theatre organ, although it was outfitted to play a broad variety of music. It had several unit stops, but was largely a "straight" configuration. This was the second largest of the organs produced under the Robert Morton banner. The two manual console was situated on the large landing of the Grand Staircase, outside of the large lodge meeting room. The antiphonal division, which was playable from either console, had a set of swell shades which spoke into the landing and staircase area, and could certainly be heard in the expansive foyer. This is one of perhaps two Robert Morton instruments which featured a second console. The organ remains in situ , although it has not been used for decades, and may not be playable at this point. It seems that the "crowning glory" of most theatre organ builders were their four and five-manual instruments, especially the five deckers. Interestingly, usually the largest instruments produced by a builder were coupled to four manual consoles, rather than five, like Wurlitzer's Radio City Music Hall organ (although Barton's largest was six!) As mentioned, Robert Morton's largest instrument was a four-manual organ of either 72 or 85 ranks, but with a classical specification (and a horseshoe console). Robert Morton did produce a few five manual organs, but it seems that only one was of significant size in terms of resources. Very little is actually known about these organs, but it appears that three of these were for instruments that went into theatres and perhaps one was simply a display console for the sales floor at the factory. 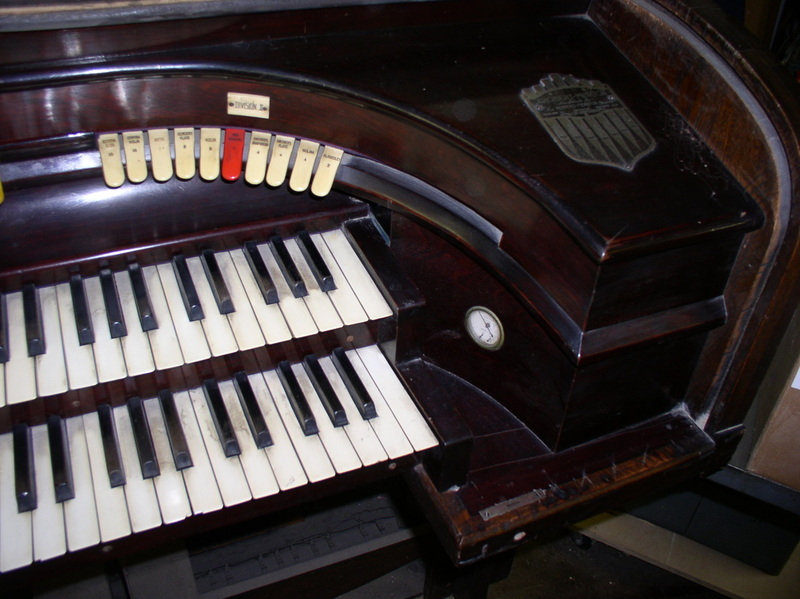 This 1921 organ is the first of the five-manual instruments produced by Robert Morton. With a 10 horsepower blower to wind it, it may have had impressive resources, but there is no indication of how many ranks it had. The number of stops in the stoprail would suggest that it perhaps had a number of "Straight" ranks in addition to its unified ranks, thus relying upon couplers and requiring fewer stops. It has been argued that this photo portrays the "salesroom floor" demo console, but nothing has been advanced to substantiate that claim, or to show that the demo organ actually existed. We have no specification for this instrument. It is reported that this organ was dismantled and dispersed many years ago. There is some speculation that this organ console was simply a mannequin, not intended for any purpose than as a sales prop, and that as time went on it was stripped of its components for use in other organs. This seems unlikely, since a smaller "dummy" instrument would have been easier and cheaper to construct, and money was always an issue at Robert Morton. Also in 1921, a smaller five manual instrument was shipped to the Kinema Theatre in Fresno, California. Based upon its 7 1/2 horsepower blower, this organ was likely to have been about 10 ranks or so. The theatre opened in 1914, and was equipped with an organ which may have been a product of the Johnston or California Organ era of Robert Morton. That makes perfect sense, since the new Robert Morton Company would have been looking to stimulate its business by selling "upgrades" to its previous customers and contacts. It is reliably reported that the specification of the new five-manual instrumennt was similar to a standard 3/12 Robert Morton of that era, probably with a number of straight ranks, and the two upper manuals were coupler manuals. It is quite possible that the pipes and mechanism from the previous instrument may have been re-used in the rebuild. The organ was removed from the building at some point, and sold to someone in the Oakland, California area. The console was apparently broken up for parts. The magnum opus of Robert Morton theatre organs, the Kinema organ started as a 3 manual instrument installed in the theatre in 1920, and then was enlarged to perhaps 28 ranks in 1923, with a new five manual console, and a four rank Echo organ. This behemoth, powered by a 30 horsepower blower rated at 15", was one of the first high-pressure Robert Morton organs. Fifteen inches of wind pressure would become a Robert Morton standard by 1928. The Kinema organ fell on hard times when a theatre fire destroyed the console. The remainder of the organ was dismantled and dispersed, with a good deal of pipework going into the organ at Trinity Methodist Church in downtown Los Angeles (which is also now gone). In the same way that the Wurlitzer brand created its "flagship" organs in the famous "Fox Special", four manual, 36 rank instruments, the Robert Morton Company also produced a top-of-the-line series of instruments which collectively became known as the "Wonder Mortons". In both cases, the design of the organ was unique to the particular chain of theatres into which they were installed. The Wurlitzer 4/36 organs (frequently, if erroneously, referred to as "Crawford Specials", after famous theatre organist Jesse Crawford) were all installed in Fox's greatest theatres, in San Francisco, St. Louis, Detroit and Brooklyn. The first of these organs, interestingly, was installed in the Paramount Theatre in New York -- not a part of the Fox chain. The "flagship" Robert Morton organs came to be known as "Wonder Mortons", not because the were so-named by the company, but because they all went into the Loew's "Wonder Theatres", the greatest of the theatres in their chain. All except for the first, that is -- which was installed in the New Orleans Saenger Theatre (and remains there, dormant, today). 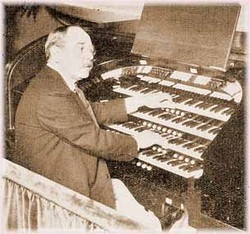 The New Orleans Saenger organ broke new ground for Robert Morton in the same way that the New York Paramount organ broke new ground for Wurlitzer. Robert Morton did very good business with both the Pantages and Loew's theatre chains, and when the Loew's Theatre circuit set about to create the biggest and best theatres in their circuit, they wanted Robert Morton to create the biggest and best organs for those theatres. ​The first and most striking difference in the Wonder Mortons were their distinctive console design, unlike anything else that the company had produced. Although the "fence-top" design is associated with these instruments, ironically, the inspiration for the design came from a competitor -- Barton, of Oshkosh, Wisconsin. The Indiana Theatre, in Indianapolis, housed a three manual instrument of 17 ranks (now in the Warren Peforming Arts Center in Indianapolis) which utilized a decorative "fence" around the top of the console, along with "shield/coat of arms" decor on the sides and large, decorative corbels. While the source of the Robert Morton design is unmistakable here, it becomes a matter of some creative speculation to sleuth how the connection came about. Two potential sources come to mind, and they may have both conspired to adopt this design for the Wonder Mortons. 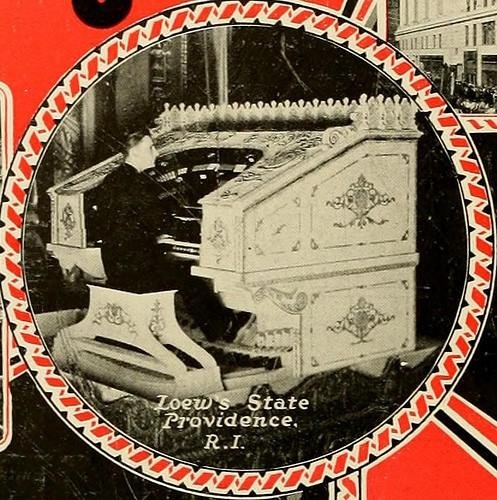 Organist Maurice Cook was employed by the Indiana Theatre for a time, and he also presided at the first Robert Morton to bear the fabled fence design, a 20 rank organ in Loew's State Theatre, in Providence, Rhode Island. Joe Matthews would also have likely been involved in this process, as a "salesman without portfolio" for the company. He kept abreast of what their competitors were doing, and in arriving at a contract for the Loew's organ, may have been influenced by both organist Cook, and what he saw in theatres during his sales tours through the Midwest and the South. Since he apparently was suitably impressed by Barton's "innovation", when a striking console design was desired for the Loew's "Wonder" theatres, this design may have come immediately to mind. Above, the console of the Barton organ in the Indiana Theatre, Indianapolis (1927), showing the "fence-top" and side detailing. To the right, the console of the Robert Morton in Loew's State Theatre, Providence, Rhode Island (1928), showing the adoption of the fence top to a more-or-less standard Robert Morton console (not unlike the Ohio Theatre console). The in-depth article on the Wonder Morton organs in the recent issue of the THEATRE ORGAN was a most enjoyable one. Obviously a labor of love, it is indeed an overdue look at some extremely fine and well-built instruments. There are a few errors of fact that crept in that ought to be corrected, and some additional things added in a publication such as ours that will likely be looked at in the future as a reference source. It is important that we strive to keep the details concerning these organs as accurate as humanly possible. Even now it can be quite difficult to ascertain absolutes about some instruments. For instance, the only one of the "big" Robert Morton organs still playing in its original home is in the Ohio Theatre in Columbus. While additions have been made around the original organ, the core 20 ranks and related mechanicals and wind systems remain untouched, both physically and tonally, and this is the only place that one can presently go to hear exactly what Morton produced and intended in their largest showcase instruments. 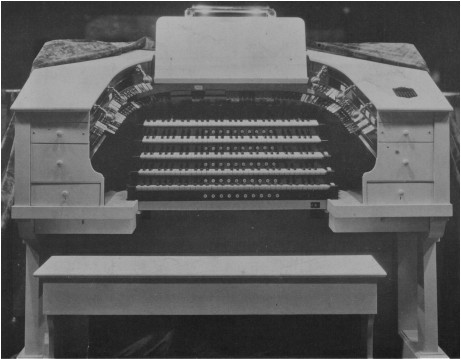 "Wonder Organ" was a moniker attached to two companies -- Morton and Kilgen, the latter having first dibs and utilizing it heavily in advertising. Actually, the Morton term is derived from the names of the theatres in which the organs were installed: the Loew's Wonder Theatres in greater New York. Terming them "Wonder Mortons" might actually be somewhat akin to calling the large Wurlitzers "Fox Specials", a name unused by that company but popular in our conscience. While there may also have been some local advertisement of Bartons by their owners in that way (almost every type organ was called a wonder organ at one time or another), the Barton Company's slogan was the well-known "Golden Voiced Barton." Interestingly enough, the earliest known decorative console with a fence around the top was a Barton, that of the Indiana Theatre in Indianapolis (pictured above). It came first, and comparisons with the later Morton consoles are inevitable. They are basically dead ringers for the Morton design. A possible common denominator in these instances may have been one Maurice Cook (who, ironically, was occasionally billed as a wonder organist), a very popular player who was at the Indiana and also later at the first Morton with a very similar fence: the 20-rank job in Loew's Providence, This might bear some more research, as we still don't really know the absolute connection between the consoles with fences. And hence, on to the Wonder Organs. Tonally, the large, late Mortons were powerhouses. The company intended to give Loew's as much "bang for the buck" as possible and standardized on large and especially high wind pressures throughout, making the organs more than equal to the task of filling 3,000 seats for solo, orchestra, or picture work. Their output is probably at least 35% greater than a comparable Wurlitzer makeup would have been, and it's telling to hear just how weak a 10" rank of Wurlitzer pipes is when standing beside the equivalent Morton sets. Today, several of these organs have been significantly tonally altered, which has resulted in a sound not exactly as the factory would have put out. Back in the 80's when the Santa Barbara Arlington job was done, the powers that be wished for it to sound more as a Wurlitzer, so much of the pipework was revoiced and re-regulated (read "softened"), sometimes on lower wind or with lids attached to potent ranks, such as the Krumet. This scribe knows: he was retained and paid to do the work at the Newton shop in San Jose and at the theatre. The resulting sound is grand indeed, but not definitive or original Morton. The nine big Mortons -- four at 20 ranks (the Loew's Ohio, Midland, Penn, and Providence), five at 23 ranks -- were all voiced identically and separated by only three ranks: a second Tibia Clausa, Krumet and French Horn. They had an individual and spectacularly identifiable sound. A 25-hp Spencer blower was provided giving more than a horse per rank! All manual ranks save the Vox Humanas were voiced on 15" wind (including Tibias and English Horn), several of the 16' basses in the Solo side were on 20", the Solo Vox (often made by National Organ Supply) was on 12"and the Main Vox was on 8". An interesting and common Morton practice was that of placing the "power" basses -- usually Diaphone and Tuba -- on 5" higher wind than the manual pipework. While the Vox ranks are indeed ethereal compared to the rest of the instrument, they are not in any way deficient or weak and stand very well in any Tibia, string, or ensemble combinations. The Morton strings are probably the sharpest strings of any manufacturer, for which the company is/was justifiably known. Each of the sets (Violins, Gamba and Salicional) display much "rosin" and edge and combine into the most colorful and orchestral of string ensembles. As originally voiced, they need no help from any other flue ranks present and sound nothing like Kimball strings, which are typically larger in scale and of a slightly more suave nature..
Incidentally, there was one other Morton that very nearly classed as a Wonder organ. This was Loew's Fairmount in the Bronx, a 3/19 with almost exactly the same 15- and 20-inch pressure pipework, 25-hp blower, and potent sound. This was the organ that eventually provided most of the Van Der Molen studio instrument. Morton did not use Brass Trumpets in any organs; they were the usual zinc-and-spotted metal sets and designated "French Trumpet." They often shared a wind system with the Kinura and English Horn and had a unique and identifiable tone. The Tuba Mirabilis stops are very large in scale and sound remarkably like a powerful Style D Trumpet. Diapasons are keen and colorful, even the huge Diaphonic, and are heard to great advantage on the classic Buddy Cole records from years back. Color reeds were generally typical, with the exceptions of the very pungent Krumet, big "oil funnel" Kinuras, and a Sax that was somewhat fat and "flutey", built with the construction of a short French Horn. And is there such a thing as a bad Morton Tibia anywhere? Most ranks were extended, including reeds, to at least 73 pipes. Original specs usually included some chorus and color reeds (lie the Tuba and Oboe Horn) at 4' pitch, others being extended to note 73 but not appearing at 4' on a stop tab. All nine of the large organs sported six 16' extensions: Tuba, Major Diaphone, Tibia, Oboe Horn, Gamba and Bourdon. Stoprail order was unique and did not necessarily run from loud to soft, as did Wurlitzer. It's interesting to contemplate an Oboe or a Sax showing up right beside loud chorus reeds in the order (or the Solo Vox Humana appearing only on the Solo Manual at 8' pitch). I don't know that anyone has ever figured out just what the idea behind the order was, and I believe the line designations across certain stoptabs also remain a mystery to this day (Editor: refer to discussion of this in section on "Stop Tabs"). There were no 1' stops, nor was there ever a Sostenuto or a percussion re-it on the organs; any such things would be modern additions. Cancel pistons were not provided. The large center buttons were all designated "Operator" and were there to hook up to any function wanted; they were intended to signal the booth. There were also keycheek rocker switches to arm "pedal to manual" piston functions since double touch pistons were not used. Large-scale Deagan percussions were utilized and, to make them really powerful, they were normally installed, along with the traps, right behind the shades and often in front of the pipework to insure they would have dirrect egress and be extremely useful. If subsequently buried, of course, they will not perform in the same way. Regarding the various mentioned in the previous article, the San Diego Balboa/later Fox organ was ca. 32 ranks, not 23, and was an early, partially straight job with much beauty and plenty of power. Its console had a single straight rail. It's . . . too bad that the Kings organ was dispersed, as it was often compared to the New York Paramount organ. The "head Wurlitzer enthusiast" himself, Judd Walton, once reputedly remarked, upon hearing Kings, that he now understood what it was that Morton enthusiasts were so enthused about! Joe Matthews ("a man of many hats") was a consummate salesman, and his talents were utilized heavily in the Southeastern part of the country, which was a part of his wide-ranging sales territory . Matthews was a gregarious "people person" with a great deal of energy and much persistence. He was likely a very good fit with Julian Saenger, who with his brother Abe, founded the Saenger Theatre chain which grew to be the premiere theatre chain of the South. Julian was also a an enthusiastic and personable individual with much personal drive. Matthews was able to land contracts with the widespread Saenger entertainment firm, and sold somewhere in the neighborhood of 190 instruments (both Robert Mortons and Fotoplayers) to this chain. The jewel in the crown, however, had to be the organ he sold for the New Orleans Saenger theatre. New Orleans was the music capital of the South, and it was only fitting that this flagship Saenger house should have an organ like no other installed in any Saenger theatre, or any competitor's theatre. Landing this contract created a lot of excitement in the company, because it was one of the largest instruments produced in many years. This organ was the largest "true" theatre organ built by the Robert Morton Organ Company, consisting of 26 ranks over four manuals, installed in two chambers flanking the stage. Originally installed as a four manual, 23 rank organ (perhaps anticipating the instruments that would follow), the organ included 9 stops that were extended top 16' in the pedal, and a V'Oleon device. Not long after the organ's debut, it was apparently decided that the V'Oleon was not loud enough to be useful in the large house, and it was removed and replaced by a pair of "Vibrato Strings", two strings planted closely to one another and locked/forced into an intense celeste. A 1' Fife was also added to the instrument, capping it out at 26 ranks. See the "Specifications" section of this website for a complete stoplist. The organ has 265 stops, 7 tremulants, and is winded by a 25hp Spencer blower. The added 2' "Fife" division appeared on all manuals and even in the Pedal. The organ contained a complement of chorus reeds that were to become standard in the Wonder Mortons, including English Horn, Trumpet, Tuba. It had six ranks of strings, two voxes and both a Tibia Clausa and a Tibia Plena, in addition to a battery of orchestral and color reeds, such as the French Horn, Clarinet, and the Kinura and Krumet. As it was a post-1925 instrument, the wind pressures used were "aggressive" to say the least. The organ was divided into two chambers, with 12 ranks in the right chamber (Foundation) and 14 in the left (Solo). Wind pressures ranged from 10" for reeds and flues generally (7 1/2" for the Voxes), 15" for the Diapason, and 20" for the English Post Horn. Unfortunately, like the rest of New Orleans, the Saenger Theatre and its organ has not been immune to the elements which constantly battle the levees protecting the city. In 1927, the city and the theatre were flooded, inundating the first 50 rows of seats on the main floor. A quick-thinking someone had the good sense to raise the console to stage height, thus saving it from inundation. Stage height was not enough in 2005, when Hurricane Katrina hit the city full force, and the base of the console received a long-term soaking. The basement and blower room were also flooded, and the organ's relay suffered extensive damage. The organ has not played since the hurricane and is now in definite need of restoration. Dr. Barry Henry was a friend to the Saenger Theatre and its famed Robert Morton organ, and he was a friend to me, though we never really met in person Our exchange of email correspondence was valuable to my efforts for this website, and invaluable to me in finding a new friend and kindred spirit in our love for the theatre organ and Robert Morton organs in particular. Rest in Peace, Barry, and thank you. . .
Albert Barry Henry, MD., a noted New Orleans radiologist and theatre organist, passed away on September 23rd after a long battle with cancer. Dr. Henry is best known in organ circles for his work with City Lights, a group he formed to save the New Orleans Saenger Theatre when it was in danger of demolition. In addition to being a physician and graduate of Tulane Medical School, Dr. Henry was a trained pianist and organist, and his passion was saving the 26 rank Robert Morton Wonder Organ housed in the New Orleans Saenger. With his own funds, he restored the organ to playing condition in the 1970s after E.B. Basile purchased and restored the theatre. Barry often played the Morton for Saturday afternoon recitals that were held in the early '70s. In addition to his work at the Saenger, he also financed and restored an early 1900's Anton Gottfried organ that was installed in St. Rose of Lima Catholic Church in New Orleans, and he was an active participant in the restoration and enlargement of the Wicks theatre organ at St. Joseph Catholic Church in Ponchatoula, and the Wurlitzer organ located at the Republic of West Florida Museum in Jackson, Louisiana. During his life, Dr. Henry preserved many artifacts that were being discarded from the Saenger during its various ownership changes, and his home had become a private museum honoring the life of Julian Saenger and the Saenger theatre chain. Barry also created a website, along with fellow organist and historian Bill Hooper, which honors the history of the entire Saenger chain. It remains in his memory at www.saengeramusements.com.